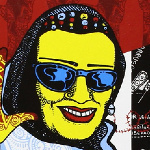 We are very sad to hear that Mariem Hassan, one of the most important and beautiful Saharawi voices - and WOMEX 2005 Showcase artist - passed away on 22 August 2015. She has been a strong messenger for her people throughout her entire music career, spreading the word of their ongoing struggle. 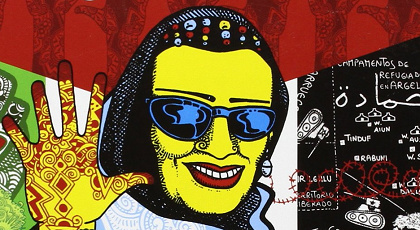 To honour her great spirit we would like to draw your attention to her official biography 'Mariem Hassan - Soy Saharaui', published in October 2014 by Calamar Edicion y Dieño. It comes as a powerful graphic novel written and illustrated by Italian authors Gianluca Diana, Andromalis, and Federica Marzioni. Almost 50 pages of amazing art work will lead you through the singer’s life and the intense story of the Saharawi people. Have a look! We promise it will be worth it! Picture: Detail from 'Mariem Hassan - Soy Saharaui', from Calamar Edicion y Dieño.